June classes are definitely happening, just sit tight! Hello folks! We ARE holding cooking classes in Makati and Alabang this June, the schedule isn’t up yet but it will be this week! Thanks for your patience. If you have any special requests feel free to comment on this post and leave a class topic suggestion! 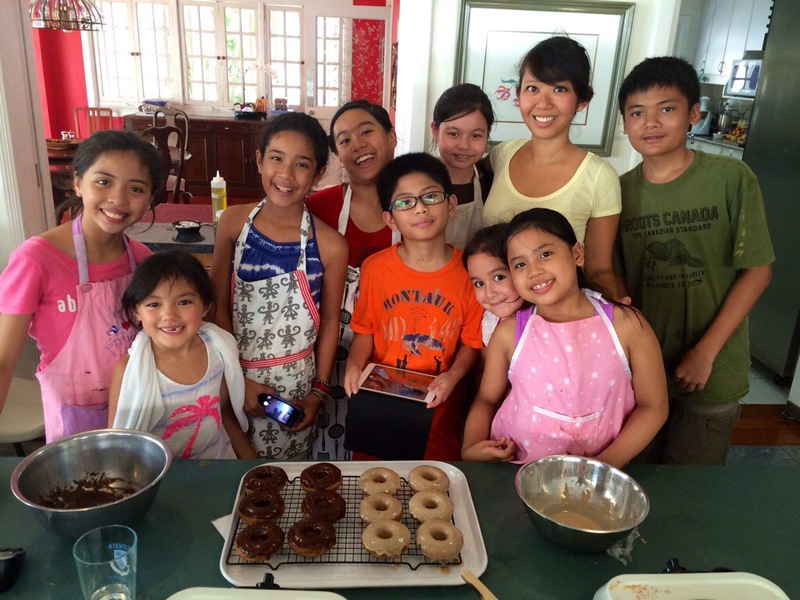 In the meantime here’s a photo of me and the kids last Thursday in Chocolate class. The kids listened to teacher, paid attention in class, and ate the vegan meal I made them (cheesy farfalle – sauce made from puréed squash, cauliflower, and chickpeas) so I rewarded them with homemade baked whole wheat donuts. just let us know when is you class resume and how much is the cost of the class… regards & more power!